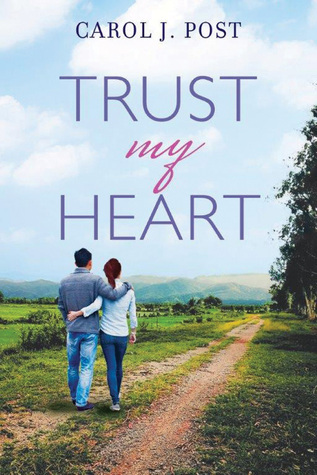 Trust My Heart is a heartwarming small town novel. It begins with Jami breaking up with her overbearing boyfriend and starting her career as a small town reporter. Her work leads her to Grant, who has returned home to liquidate his grandparents' estate. Jami wants to write about the estate, and sparks fly as the two get acquainted, and sort out what they are looking for individually ... and maybe together as well. This is such a charming novel. Trust My Heart has so many elements I love. It has a small town setting in the Smoky Mountains. There is an old, abandoned family mansion to explore. It has truly likable, relatable characters in Jami and Grant. It has a heartwarming romance. And it even has two adorable rescued dachshunds! It would make a perfect Hallmark movie. 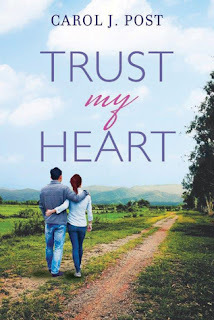 Trust My Heart was a perfect weekend read. I enjoyed it so much that I am already sure I will reread it again in the future. Make some cocoa, find a warm blanket, and curl up for a delightful visit with characters and a town you will enjoy. Thank you for the great review! I'm so glad you enjoyed Trust My Heart. Thanks, Carol! It was a lovely read and I've recommended it to friends. I am a dachshund person and was delighted to even discover dachshunds in the story!